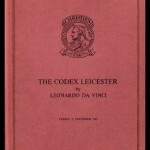 The Codex Leicester is a collection of largely scientific writings by Leonardo da Vinci. The Codex was purchased in 1980 by wealthy industrialist, art collector, and philanthropist Armand Hammer from the Leicester estate, and renamed the “Codex Hammer”. In 1994 Bill Gates bought it at auction for $30.8 million, making it the most expensive book ever, and renamed it the Codex Leicester. 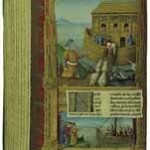 The Gospels of Henry the Lion were intended by Henry the Lion, The manuscript, containing 266 pages with the text of the four gospels, 50 of them full page illustrations, was sold by auction on 6 December 1983 at Sotheby’s in London for £8,140,000.The gospel book, kept in the Herzog August Bibliothek, Wolfenbuttel, and for security reasons is displayed only once every two years. 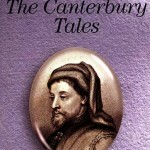 The Canterbury Tales is a collection of stories written by Geoffrey Chaucer in the 14th century (two of them in prose, the rest in verse). The tales, some of which are originals and others are not. This is the one of the most expensive book. It have been sold (£4,600,000) pound In 8, Jul 1998. 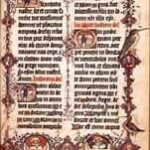 The Gutenberg Bible, This is the one of the first book ever printed by, Johan Gutenberg and Johan fust in 1455. This is one of the greatest treasures in the Ransom Center’s collections. 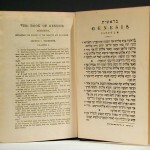 The Center’s Bible was acquired in 1978 and is one of only five complete examples in the United States, and this is the one of the most expensive books. It have been sold ($5,390,000) in 22, Oct 1987 London. The Northumberland Bestiary was one of the most important traditions to emerge from medieval England. It served as the most famous picture book of its time. This book hold the record for an English manuscript, and this the one of the most expensive book. The book have been sold (£2,700,000) in 29,Nov 1990 London. 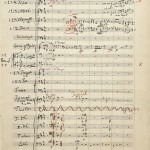 Autograph manuscript of nine symphonies By Wolfgang Amadeus Mozart this book is on music manuscript, and this the one on the most expensive book of the world. This book hold the record for any music manuscript. It have been sold ($3,600,000) (£2,292,993) in 22,May 1987 London. The Birds of America is the title of a book by naturalist and painter John James Audubon, containing paintings. This book holds the records for any natural history, and this is the one of the most expensive book in the world. It have been sold ($3,600,000)(£2,292,993) in 6,June 1989 New York. Hebrew Bible is a generic reference to books of the Bible, originally written in Hebrew and Aramaic, and of uncontroversial canonicity. This is the one of the most expensive book and hold the record for any Hebrew manuscript. Book have been sold (£1,850,000) in 5,Dec 1989 London. The Monypenny Breviary, illuminated manuscript, c,14900-95. Book is also in the list of most expensive books. 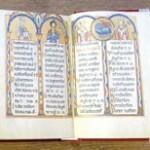 This book hold the record for any French manuscript .Book have been sold (£1,700,000) in 19,Jun 1989 London. The Hours and psalter of Elizabeth de Bohum, Countess of Northampton, c,1340-45. 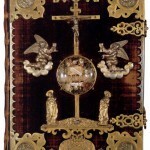 This is the on of the most expensive book and it have been sold (£1,400,000) in 21,Jun 1988 London. wow. im truly amazed. i like book # 4. the gutenberg Bible more……. 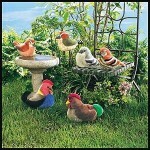 i wish i cud buy dem!!!! Why would you buy that?? For somebody who has an interest in books, your grammar is awful! Have you stopped to think that maybe this person’s first language is NOT English? Don’t judge people without knowing all the facts. In fact, don’t judge people at all.